The co-founder of RuffHouse Records, Chris Schwartz, is a Philadelphia native who has worked with some of the best-selling rap and R&B acts of the 1990s, including Cypress Hill, Kris Kross, the Fugees, and Lauryn Hill. Schwartz grew up in the Philly suburb of Devon, Pennsylvania, where at 17, he decided to drop out of high school and join the U.S. Navy. After four years of military service, Schwartz returned to the Philadelphia Area and played in various local new wave bands. In 1985, the small, Philly-based R&B label Nicetown Records hired Schwartz to do local promotions, and not long after that, he did freelance rap promotions for Delicious Vinyl, Island, and Geffen. Around that time, Schwartz became the manager for Philly rapper Schoolly D, an innovator who was among the earliest gangsta rappers. It was in 1988 that Schwartz co-founded RuffHouse with producer Joe "The Butcher" Nicolo with a budget of only $400. The label, which was distributed by Enigma at first, struggled for a few years. But things started picking up for RuffHouse after securing a distribution deal with Columbia. In 1991, RuffHouse had a huge seller in the self-titled debut album by gangsta rappers Cypress Hill. After that, the label enjoyed multi-platinum sales with albums by Kris Kross, the Fugees, and Lauryn Hill. Originally based in Philly's downtown area (which is called Center City), RuffHouse moved to Conshohocken, Pennsylvania in the mid-'90s (presumably to escape Philly's infamous business taxes). Schwartz served as executive producer on RuffHouse's big sellers. In 1980, Joe Nicolo created Studio 4, a recording facility in Philadelphia. It was during this time that he earned the nickname "The Butcher" for his skillfulness at being able to piece together and mix tracks. 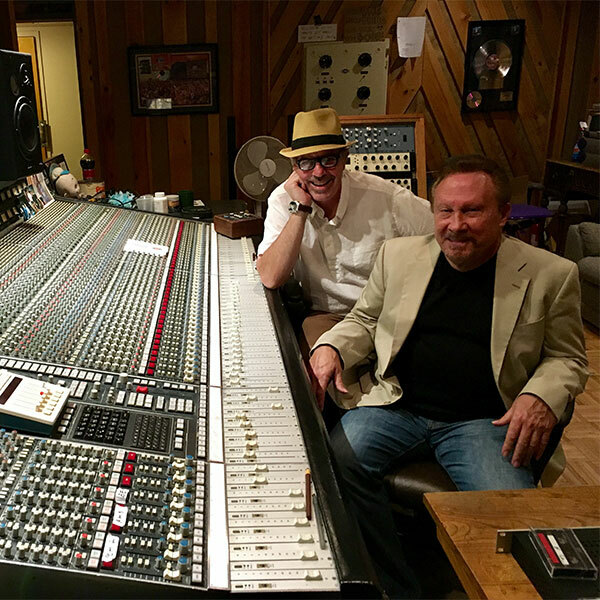 Local artists who recorded their albums at Studio 4 with Joe include Boyz II Men and DJ Jazzy Jeff and the Fresh Prince (Will Smith). Joe's success with these artists led to him becoming staff producer for Columbia Records. During this 10-year tenure at Columbia, he worked with some of the most successful recording artists in the industry, including The Rolling Stones, Will Smith, Aerosmith and Bob Dylan. Joe won 9 Grammys for his work on James Taylor's Hourglass, Jazzy Jeff, The Fugees, and Lauryn Hill. He was also nominated for a Grammy for his production of Billy Joel's album, River of Dreams. While at Columbia Records, Joe started his own label: Ruffhouse Records. At Ruffhouse, Joe was responsible for signing and producing Kriss Kross, Cypress Hill, the Fugees, Wyclef Jean and Lauryn Hill. It was under Joe's guidance that Ruffhouse album sales surpassed 100 million worldwide. In 2002, Joe joined forces with Merv Griffin and RKO Pictures as Executive Producer of the film Shade - a movie best described as a cross between The Sting and Pulp Fiction. The movie stars Jamie Foxx, Gabriel Byrne, Thandie Newton, Sylvester Stallone and Melanie Griffith. Joe also served as music supervisor on the film and continues to oversee the music on several other RKO films. In April 2003, Joe Nicolo was honored by the Philadelphia Chapter of The Recording Academy (The GRAMMYS) by receiving The Heroes Award as recognition of his outstanding work and contributions to the U.S. music industry on both a national and local level. In 2004, Joe entered into a production and distribution deal with Light-year/Warner Bros.
Joe also produced several new movie releases: Return to Sleep Away Camp, Let The Game Begin starring Adam Rodriguez, and Just Add Water with Justin Long, Danny DeVito, and Jonah Hill. In 2006, Joe got back into the music business with his son Tyler and Tyler's partner, Cole Thomas, with Revel Music Group. There, Joe co-produced Brandon Hines for LA Reid and Epic Records. It was a joint venture with Jermaine Dupri. For the past several years, Joe has been working out of his garage studio (aptly called JOE'S GARAGE) and his new Blacbird/Universal imprint. He has been enjoying working with numerous local groups, which include: GOOCH AND THE MOTION, ST. JAMES & THE APOSTLES, CHRIS PATERNO, BRIAN FITZY, TODD PRITCHARD, KAT PACE, ANNABELLE KEMPH, AND THE SATELITTE HEARTS. Joe plans on rolling out The Blacbird Music Festival in the fall of 2018 to benefit opioid abuse.